Now that President Barack Obama has signed bill S.764 (aka the DARK Act) into law effectively banning common sense, text-based GMO labeling in the United States, it’s more crucial than ever to support organic and non-GMO companies that take the clean food movement seriously. With so much at stake and new, unregulated GMO technologies on the way such as crops produced with CRISPR (aka gene editing) technology, genetically engineered apples that don’t turn brown, and even genetically engineered animals like GMO salmon, the time is now to reclaim the integrity of our food supply. In response to the organic movement, massive food conglomerates like General Mills, Coca Cola and Hormel have been buying up many of our favorite organic brands while at the same time shelling out millions to shut down mandatory GMO labeling. It’s been a good news/bad news situation for consumers: organic options are more available than ever before, but at the same time top watchdog organizations have warned that the label’s standards are in danger of being watered down. Needless to say, it’s more important than ever to make your organic dollar count. If you can’t always buy direct from local, organic farmers (or grow it yourself), buying from independently owned organic companies is the next best option. Whether or not these companies will ever “sell out” the way brands like Annie’s, Dave’s Killer Bread, Silk, and others ( see list here) will remains to be seen. Makers of cereal, granola bars and more, Nature’s Path has been independent since 1985, unlike brands like Kashi and Cascadian Farm, now owned by the mega corporations Kellogg’s and General Mills, respectively. 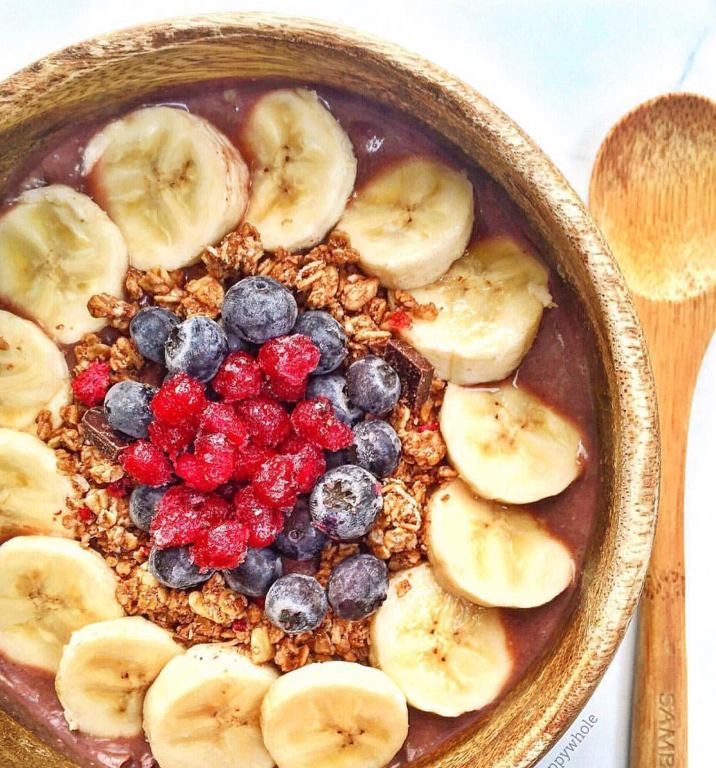 A bowl with granola posted by the Nature’s Path Instagram account via HealthyHappyWhole on Instagram. Not only has the British Columbia-based Nature’s Path remained 100% independent, it’s also made headlines for buying up thousands of acres of farmland in Saskatchewan and Montana and converting it to organic. 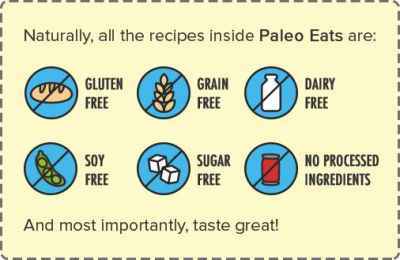 In addition to its regular line of products, the company offers several gluten-free options including waffles and superfood snack bars (see the full list here). Nature’s Path is also active in supporting urban farming, environmental and other charitable causes. This popular California-based organic rice company has said “no” to several buyout offers from big corporations, choosing to remain independent and true to its values. Lundberg uses eco-friendly organic techniques to produce several types of rice ranging from brown rice to more unique organic varieties like jasmine and even gluten-free rice chips. The company’s operations have continued to expand as the demand for organic rice has grown. But founder Grant Lundberg is unfazed by outside offers and remains committed to producing environmentally food on a large scale. One of several independent companies mentioned on this 2011 industry chart created by Professor Philip H. Howard of Michigan State University, you’ll find the independently owned Pacific Natural Foods on store shelves alongside favorite companies that aren’t so independent anymore. The Oregon-based Pacific offers a wide variety of soups, broths, nut milks and other hearty packaged foods available in grocery stores across the country. You might want to consider buying them over Campbell’s new organic line, as the soup icon spent nearly $1 million to stop GMO labeling (before caving in to consumers and voluntarily labeling its own products). While fresh-squeezed is best, you’ll have a hard time finding a better bottled orange juice than Uncle Matt’s, which is sold in grocery stores across the country. A supporter of mandatory GMO labeling like many others on this list, the Florida-based company offers truly organic juices without the funny stuff (like artificially enhanced “flavor packs” sometimes used in other “natural” brands). A health food store staple, Dr. Bronner’s has been one of the most vocal and financially generous backers of mandatory GMO labeling. Bronner’s company, also based in California, is active in several causes including the legalization of hemp and marijuana, as well as preserving fair trade and organic standards. 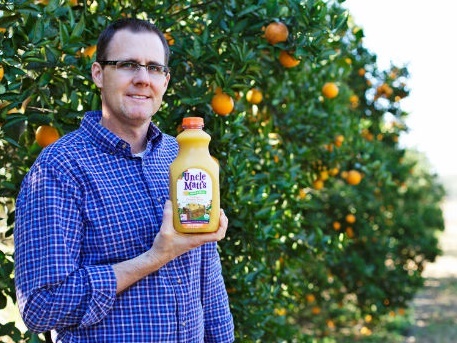 Matt McClean, Founder of Uncle Matt’s organic juice. Via WholeFoodsMarket.com. Between all of the activism Dr. Bronner’s has continued to expand,with goals of taking its natural soaps and other organic products mainstream. But Bronner is set on doing things his way telling Mother Jones that he has twice rejected offers from Wal-Mart because he can’t stomach the chain’s politics, the article said. 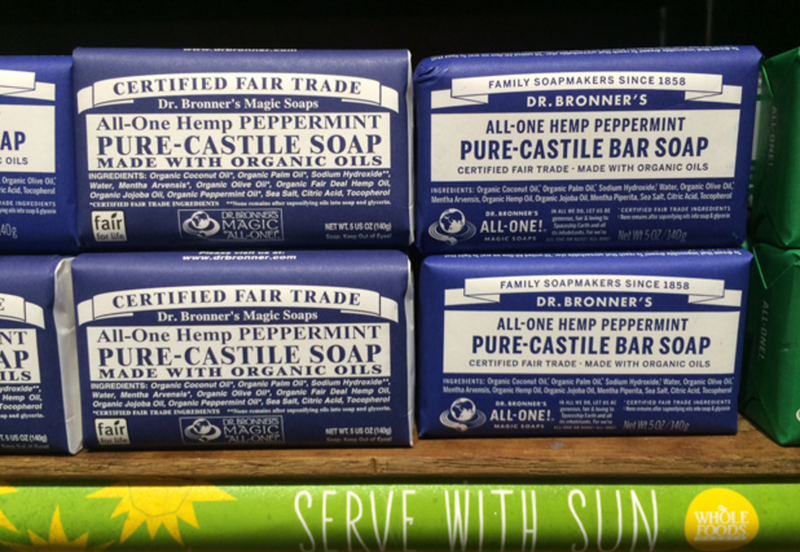 Dr. Bronner’s is famous for their “all-in-one soaps” including castille and hemp-based varieites. Their line of Fair Trade-certified products also includes hand soaps, organic cold-pressed extra virgin coconut oil, and more. While many tea companies are packed with mysterious “natural flavors” or even artificial flavors, this company utilizes only organic, truly natural herbs in their formulas. That makes them a better bet than most tea companies such as Tazo (owned and/or distributed by Starbucks with help from Pepsi and Unilever) for health purposes, as well as for supporting an independent organic company. You can find Traditional Medicinals at health food stores, online, even in the natural foods section of many supermarkets, with formulas like dandelion root for detoxifying, chamomile tea for relaxing and blends for issues like sore throat relief. Whether you’re a fan of frozen food or not, it’s hard to argue with the way this company does business. Not only have they remained independent and organic despite growing impressively (you can now find them in countless grocery stores), they also found time to create what is believed to be the nation’s first organic fast food restaurant in California (more info here). If you haven’t tried Amy’s yet, check out their pizzas, mac n’ cheese, soups, and several other unique food options (both vegetarian and vegan), most of which can be found in the frozen food section. Makers of the Simply Organic spice line as well as Aura Cacia essential oils, you can find the former in grocery and health food stores; the latter is now popping up in drug stores like Rite Aid. 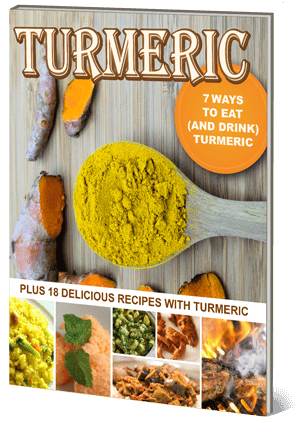 In terms of organic and non-GMO spices, you can’t go wrong with Simply Organic, which produces everything from turmeric to cayenne to cumin and other delicious meal accents. It’s also worth noting that this brand is a far better choice than McCormick’s spices. While McCormick recently announced their plans to go non-GMO this year, the company has also donated over $500,000 against GMO labeling in the past. Organic wine can be hard to find, even among the hundreds of varieties offered in stores. But buying wine from a trusted organic source is key: a recent study found glyphosate (a toxic weedkiller) contamination in 100% of wines tested, adding to other concerns such as health-damaging sulfites and even the growing possibility of GMO yeast in wines. The study found some glyphosate residues even in organic wines (brands tested were not named). While it’s difficult to know whether each bottle contains glyphosate, buying from a trusted organic source is wise, considering that grapes are part of the “Dirty Dozen” of most heavily sprayed crops. 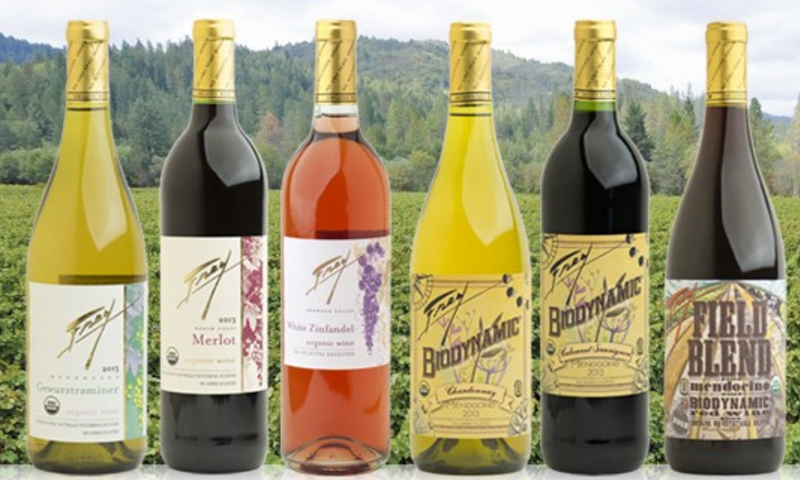 Frey’s Vineyard in California makes organic and biodynamic wines. Billing itself as America’s first organic and biodynamic winery, Frey takes environmentalism seriously. The winery is located inside of the Solar Living Institute, a 12-acre project with electric and biofuel stations for cars, solar panels, “extensive organic gardens” and more (as this article notes). As for the winery itself, Frey’s is an independent maker of organic and biodynamic wines with distributors across the country selling its award-winning reds and whites (with no sulfites added). 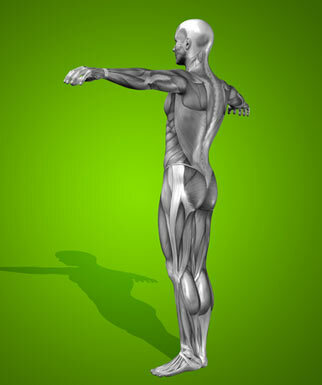 You can also find their products online. A seller of artisan foods ranging from chocolate and coffee to teas and olive oil, this company stands out for its commitment to fair trade principles, small-scale organic farmers and co-ops. But what makes them especially unique is their children’s fundraising program, allowing parents and kids to raise money for local causes (without supporting unethical candy companies owned by big corporations in the process). 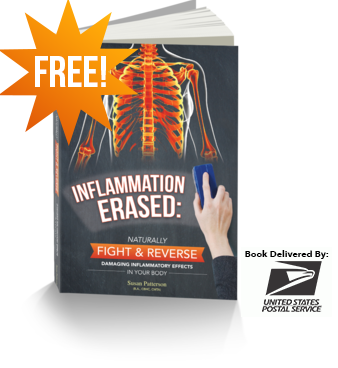 You can check out their fundraising program in their yearly catalog by clicking here, which includes information on both the program and their unique organic food products. These are just 10 of the best independent organic companies to support; you can see a full list by clicking on Howard’s chart here.